Talk about too much information! There is abundant data available about almost everything and everyone who has ever used the Internet. Every individual and every organization that uses the web for almost any purpose leaves what is known as digital footprints. These digital footprints are a trail of data you create or leave online with or without your knowledge. For instance, a person registering on any website or filling forms online will leave a digital footprint behind. All the information a user shares online purposely with a particular website is known as an active digital footprint. Example: All the social media data we share online constitutes active digital footprints. Passive digital footprints are the traces of data left online or collected online without the user’s knowledge. Example: A person shopping online will inadvertently provide their shopping preferences to the site. While it is quite easy for every individual to focus on the disadvantages associated with digital footprints, there are certain advantages associated with them as well. With the technology growing at an exponential pace, our lives are now more interweaved in the digital world than ever before. It is, thus, very important for every individual to understand these digital footprints and their implications — both good and bad. Fraudulent activities can be tracked down using digital footprints. Companies can recommend items to users based on the customers’ preferences. The convenience of stored information that can be retrieved quickly. Recruiters can find the right candidates for job positions using digital footprints. Can potentially lead to identity or data thefts. Digital footprints often cannot be deleted and are permanent. 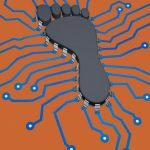 Since digital footprints have both advantages and disadvantages, decreasing or increasing your digital footprints might not necessarily be the ideal way to deal with it. Instead, there has to be a right blend of both to make the most of your digital footprints. Here are some of the essential right measures that need to be taken to control your digital footprints. The first and foremost essential is to avoid unnecessary digital footprints. So, deactivate or delete your old or unused online accounts. Every day, millions of users all around the globe sign up for various online shopping, personalization, or social networking accounts. Users upload their personal information such as name, age, personal preferences, and contact details on these platforms and often neglect them after the use. Users need to make an effort to either deactivate or to delete online accounts that are no longer needed. Privacy settings might seem easy to understand but are very convoluted in reality. Privacy settings for various websites or online services such as social media allow you to control the privacy of the content you post online. Without proper privacy settings, your personal data is no longer personal. Online privacy is often overlooked and this leads to multiple incidents ranging from identity loss to data theft. Thanks to the numerous online accounts, social media, forums, and more, almost everyone among us now has an online portfolio. Digital footprints are a great way to market yourself in the way you want. But due to multiple activities we do on the Internet, we might or might not be portrayed in the way we want. One simple way to find this is to search for your name on multiple search engines on the Internet. Review at least the top two or three pages of the search results to know if everything is positive or in accordance with your preferences. If you find anything misleading, wrong, or inappropriate, contact the site administrator to take down the information. Most online services or websites these days provide an easy way to sign up or login. This can be done using your social media accounts such as Facebook or Google. But most users do not realize or care about the information they are granting access to. Users need to be very careful if they are using their personal account to sign up or log in to any website or service as this may affect your digital footprints. It is always good to have secondary online accounts. These secondary accounts can be used for quick signups or logins and can also be used as a backup to your primary account. But if you’re using multiple online accounts, it is better to have a password manager. Always use strong passwords — a combination of numbers, letters, and special characters. Users also need to make sure that these multiple accounts don’t contradict each other if common personal information is shared in them. This will adversely affect your digital footprints. There are a bunch of online tools, browser extensions, and application add-ons that can help in managing digital footprints. These tools can restrict data being captured or shared online and can also block tracking cookies or site scripts. These tools and extensions are often cross-platform compatible and are easy to set up and use. 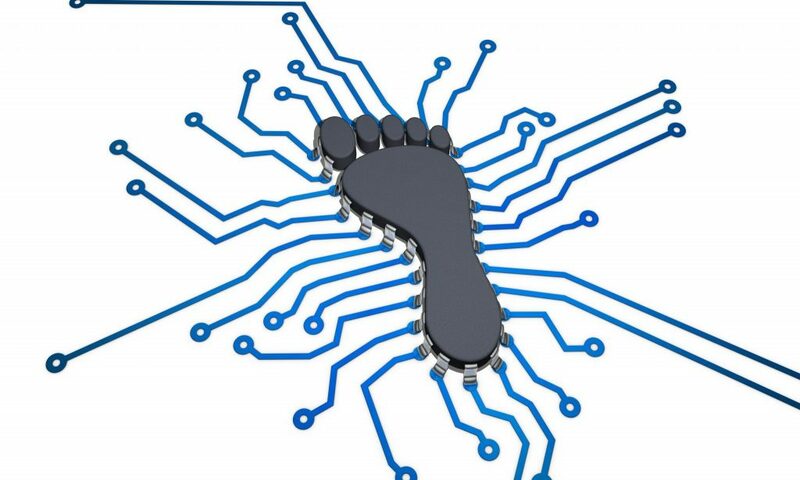 Reducing your existing digital footprint or improving it is subjective and varies from person to person. If someone wants to stay anonymous and avoid leaving any footprints behind, then using VPNs or using privacy settings would come handy. If someone is looking for employment opportunities, then they can work on improving their existing digital footprints. A website or a company looking to increase their digital footprints can use different means such as SEO to improve their footprints. Irrespective of what your need is, everyone needs to be watchful of the information they share online as nothing in the digital world is as private and secure as you may think it is.